New Forest Property Care Ltd - Builder, Damp Proofer based in Lymington, Hampshire. New Forest Property Care Ltd is a family owned business that's success is based upon providing honest advice and effective remedial solutions. 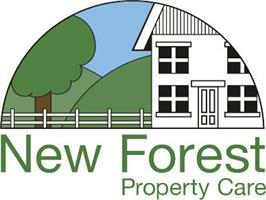 New Forest Property Care is a member of the Property Care Association (PCA). Membership of the PCA gives you the added assurance the our business works within exacting industry standards, we are qualified to complete surveys & remedial repairs and are fully informed of new innovations within the industry. New Forest Property Care specialise in the following remedial repairs and treatments: Rising Damp, Timber Treatment (woodworm, wet and dry rot control), Wall Tie Replacement, Condensation Control and Structural Waterproofing. A range of surveys are available to assess the cause of damp, timber defects and wall tie condition & being a PCA member our surveys are accepted by most mortgage lenders.